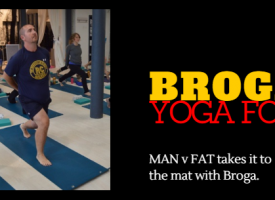 Can Fat Men Do Parkour? 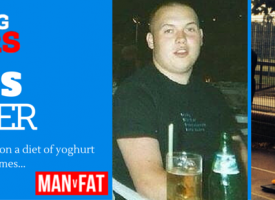 Neknominations and Ice Bucket Challenges are so yesterday, over on the MAN v FAT forum there’s a new contender in town called the Pass It On challenge. Anyone on the forum can get nominated to try something new, it could be a food, a new form of exercise, a healthy living habit like 16:8 or probiotics, it’s anything that could increase the well-being of the person you’re passing it onto. Once you’ve completed your challenge you get to nominate two other people on the forum for a new challenge that you set. Stephen Morrison started it all and he nominated me to try parkour, or free-running and answer the question Can Fat Men Do Parkour? My first impression was that given that I live in Cheshire, it seemed highly unlikely that there would be anyone free-running around the streets of Knutsford. Free-lunching, maybe. Free-shopping, certainly. Free-running, probably not. 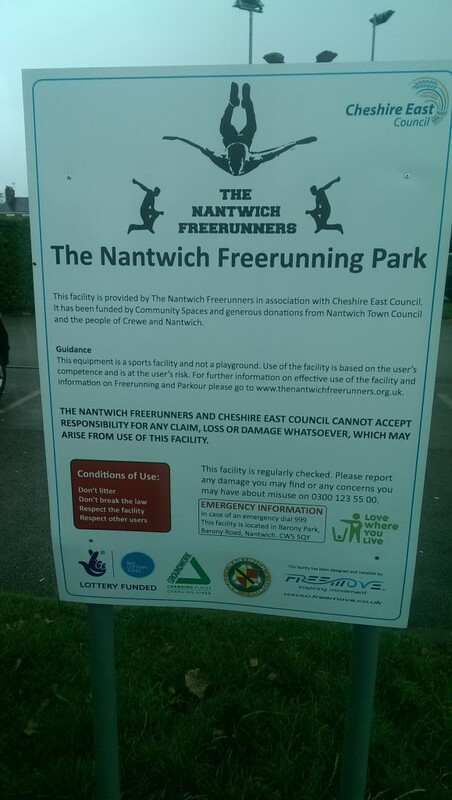 A quick Google later and it turns out that not only is there a free-running club not 15 miles from where I live, but that they have their own bespoke training facility in Nantwich’s Barony Park. I checked, the waiver also covers loss of dignity. That’s how I came to meet Joel “Kamikazee” Howells and Dean “No Nickname Given” Burgan. Both have been free-running for several years – Joel since he was 13 – and have their A.D.A.P.T. training qualification, which was good because I have two left feet and an extremely well-developed fear of heights, movement and leaping. 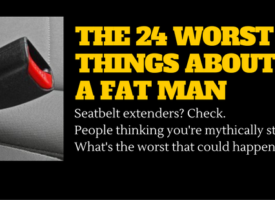 So, did he think it was something that would be suitable for men who had some weight to lose? Dean said that the key if you were interested in getting involved with parkour was not to watch the complex displays that are done on YouTube and think that’s where you need to start. 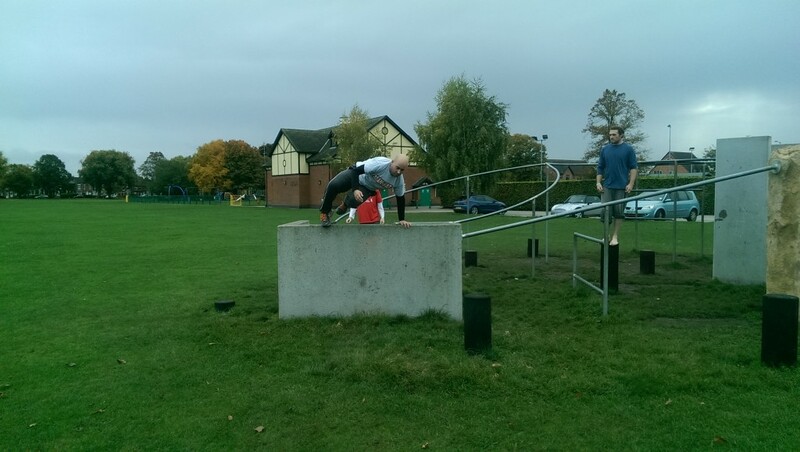 We moved over to the park – an impressive structure of metal poles, fragments of buildings and ominous stumps rising from the ground – and Joel and Dean proceeded to show us what could be accomplished with several years’ training. It was incredible watching them move around the space so gracefully and incorporate a range of techniques in such a fluid way. It was made all the more impressive by the fact that it had been raining heavily since morning and I’d managed to slip over on the grass, simply by standing still. There were three moves Dean had decided to take us through, we started with a static jump, which Dean explained was an easy place to start and also a good work out for the quads. Despite it being the most basic step I struggled with this more than anything else! When you’re stood on a wooden post and you know that you have to land on an exact point – even when it’s only a metre and a half away – it suddenly became a mental challenge more than a physical one. I kept jumping the distance but chickening out of landing on the post, thinking that my feet would slip and I’d damage my ankle. On my 20th attempt I landed it! It’s only a short hop really, but I was made up! One of the good things about parkour though is that there is always somewhere new to go with the different things you learned. You can develop a simple vault like I’m doing into any number of fancier tricks. I finished the day with yet another challenge from Dean to see if I could do a static jump onto a wall hang. Even though the ledge I was jumping from was only about three feet off the ground, it was still a massive rush to lean out and catch myself on the other side. As you can see from Joel and Dean’s faces I’m not 100% sure they thought I was going to make it.. Overall, it was a fantastic experience. I’m relatively fit (e.g. 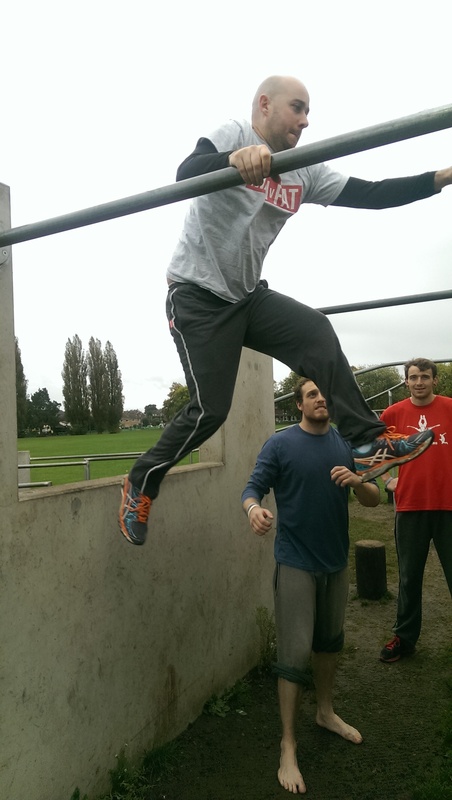 I can run three miles and survive a boot camp session at the gym) but I am absolutely not the gymnastic type and parkour gave me a real rush as it challenged me (on some fairly basic things) and made me feel that there was a lot that it could teach me. Hot damn, it was fun too. So, can fat men do parkour – absolutely. It might sound ludicrous but having tried it I’d say that you are probably already doing it – after all, you move and parkour is just taking that movement and upgrading it. 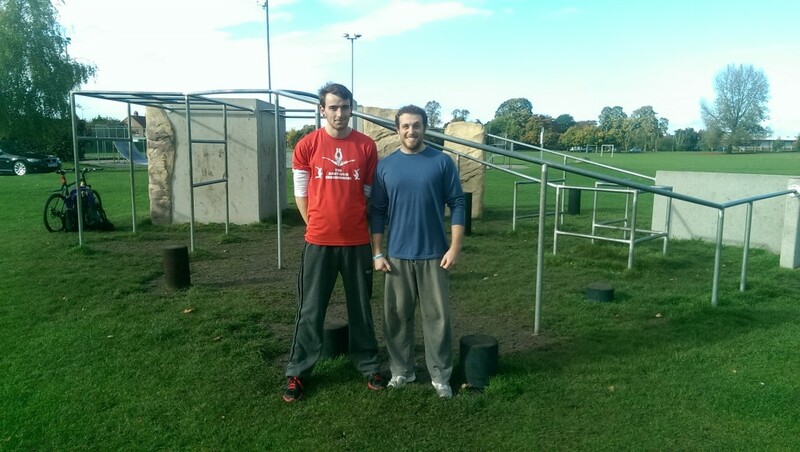 Thanks to the amazing Joel and Dean from the Nantwich Freerunners – they have classes available, check the site. 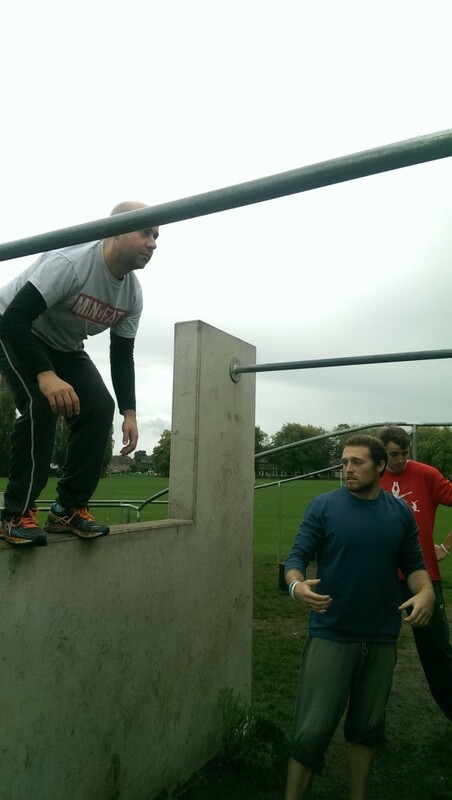 You can also check the Parkour UK site and find lessons and facilities near you. Over to you Dan and Pete – your challenges are officially on! 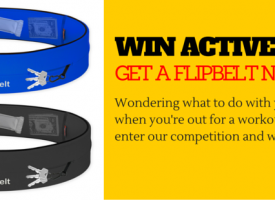 Free Amazing Active Wear – Win A FlipBelt!